Robert Hall’s seminal work on firms’ marginal cost and price strategies shook the foundations of market competition. Hall found firms fix prices above marginal costs when output increases. Firms seek to maximise profits, forecasting profit as a consequence of its pricing decision. Demand is assumed with constant elasticity such that a lower price shall increase revenues regardless of volume. The behaviour of price indexes between 2012 and 2015 (an expansion) is more puzzling and research concludes price stickiness may be the culprit. A possible explanation is the high inventory-to-sales ratio observed after 2012. 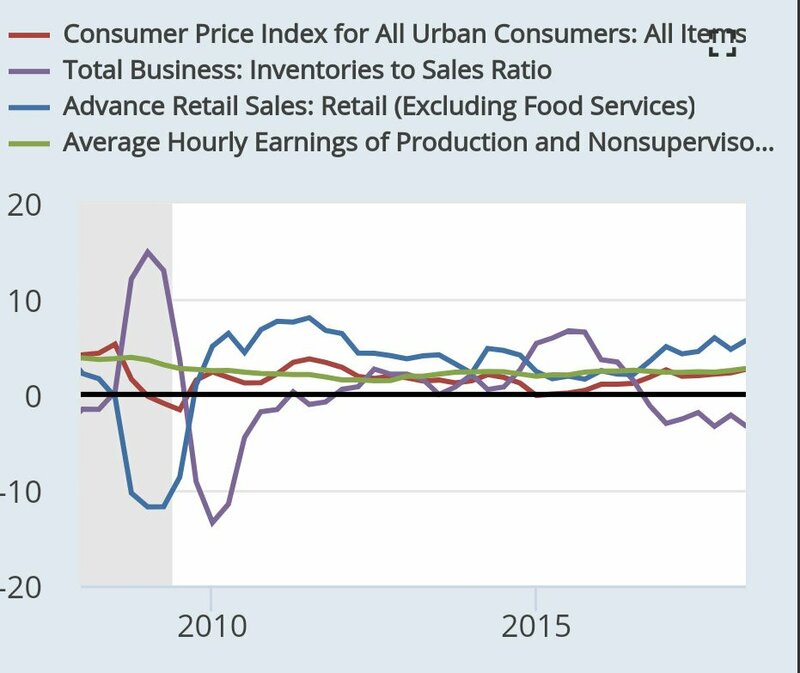 After 2008, monetary expansion increased markups that in turn “increase the inventory-sales ratio to an even greater extent by reducing sales“, an effect amplified after 2012 by a slower pace of wage gains until 2014. 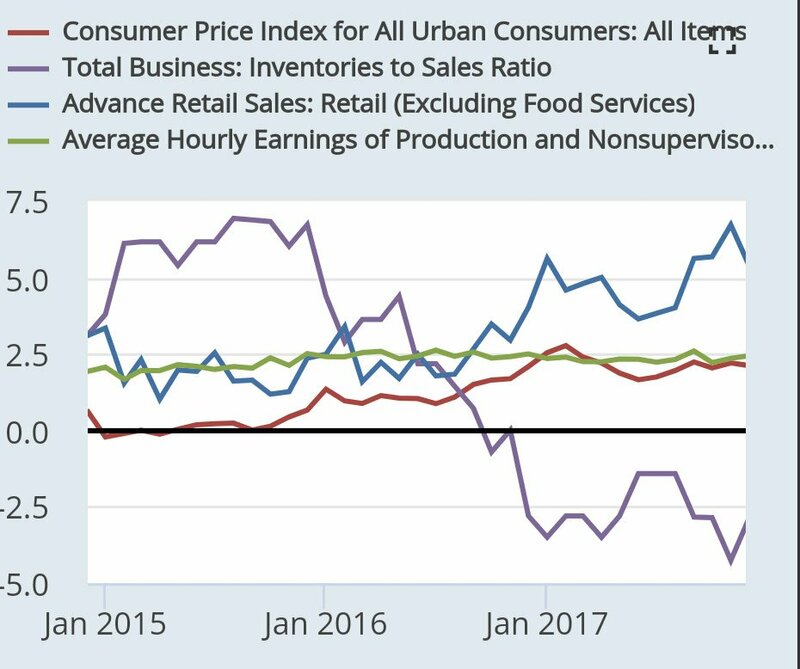 Furthermore, when wages picked up pace after 2014, firms were even more enticed to increase inventories to profit from lower relative marginal costs. “If the marginal cost of acquiring and holding inventories is indeed lower in times of a monetary expansion (…) we should see this lower cost reflected not only in a slow response of prices to the monetary expansion, but also in an increase in firms’ inventory holdings. Firms held prices lower because their relative marginal cost of inventories was also lower, as depressed interest rates erode the opportunity-cost and the cost of holding inventories.